The Cahills aren't the only family searching for the Clues. . . .The Cahills thought they were the most powerful family the world had ever known. They thought they were the only ones who knew about Gideon Cahill and his Clues. The Cahills were wrong. Powerful enemies --the Vespers-- have been waiting in the shadows. Now it's their time to rise and the world will never be the same. 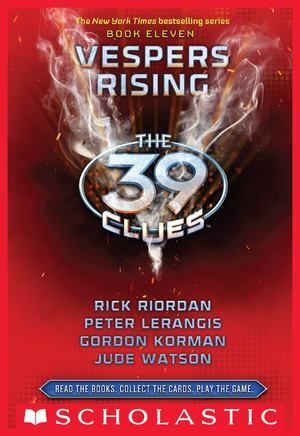 In Vespers Rising, a brand new 39 Clues novel, bestselling authors Rick Riordan, Peter Lerangis, Gordon Korman and Jude Watson take on the hidden history of the Cahills and the Vespers, and the last, terrible legacy Grace Cahill leaves for Amy and Dan.